One guy wanted £2 a bag for 500 of the same. (A Disney bag I sell for £4.) He thought it was a good price as I sell them for £4, but I tried to explain if you only have 5 and you can wait a year, you will get 4 each... But 500? I would struggle to shift them at £1 each. If anybody knows a good place to buy a larger quantity, let me know. If the price goes up at 200, then why not order 200. Then another 200 once those 200 sell. This is the problem of being a middle man. If it was easy to sell 500 of them for £4, he wouldn't sell to you for £2 he'd sell all 500 for £4. You misunderstood. Those whom have few to sell, tend to be cheap to clear. Those with plenty want a lot per bag. Buy out all the cheap sellers and ignore bulk sellers, to minimise how much you spend per polybag? That's the pain of being a reseller... Unless you get really lucky, there's no good way to get lots of one sealed set. You get piecemeal. Yes, they are cheap as you have to pay postage too so making it not worthwhile unless they have a lot of them. But if they have a lot, then they can charge more as postage is spread out over more items and other resellers would have already bought them if they were cheap. If you are trying to buy 500 copies of a single set to donate to a noble cause you might find people with that set willing to help out. If you're just looking for inventory, you will have to find somebody who paid even less than you want to pay them, or somebody that is simply dumping them. They guy with 500 for £2 each might have paid £2 each. Aftermarket prices are always a meeting between what the seller wants to charge and what the buyer wants to pay. So you are complaining you can't make enough profit and want someone else to make less so you can make more? I'm always in need for very cheap polys (for a good cause though, not profit) and it takes patience, effort and luck to get them. If people have smaller amounts they probably got then for very cheap (Or free) so people will let them go cheaper. People who have 500 simply won't. 500 @ £2 isn't a bad deal, way too much for me though. If you want 100s cheap you are going to have to do the hard work and buy piecemeal. 500 @ £2 isn't a bad deal, way too much for me though. How did you arrive at this conclusion???? Not complaing at all. If you are a reseller you most likely deal with other resellers. Sometimes I let things go cheap to clear stock. Others do the same. Part of trading. 500 of the same poly is a bad deal if you can only sell 30-40 of them. The guy got them from toysrus and said he paid over a pound per bag. Find that hard to believe, more likely paid a lot less. (It was a closing down sale after all.) But fair play to him if he can sell them for 2. I only buy stuff in person, as it tends to be cheaper than online. If the TRU closing sales in the UK were anything like they were in the US, then there was nothing left in lego by the time 50% discounts happened. So, I wouldn’t assume anyone got super cheap lego there. That could be true. 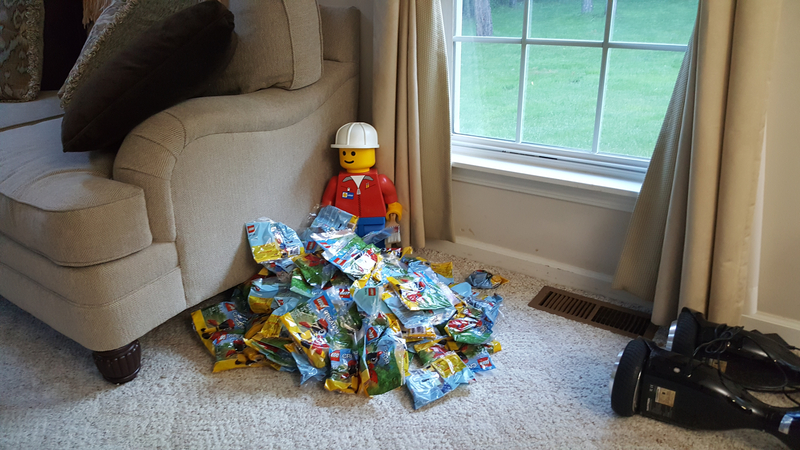 But this was 500 polybags. Maybe they were stuff meant to be handed out for free. So not on shop floor. When TRU started clearing stock they were £3, then £2.50, then £2. I believe most stores cleared them out at £2. Some polys were available in the last couple of days at £1.25, but certainly all the stores around me sold out of LEGO looooong before that. If you can only sell 30-40 (in a reasonable timeframe) then buy 30-40, not 500. If you can sell a smallish number for £4, then the seller that currently has them might as well do that unless he wants to liquidate his money very quickly. If it was the Rapunzel polybag, then I saw them in my local TRU at £1.25, they had probably 400-600 of them. I didn't buy them simply because at the time there were over 1000 of them on BL at about £1.50- £1.75. There are huge stocks of that one around. He was wanting to sell more than 30-40. If you have 500 to sell your are a wholesaler. And the hard work is selling 500 to individuals, than 500 in one go. He was looking to shift all in one go. Doudt he could get 4 a bag at carboots/markets. But as I said if he can sell all for 2 a bag, then of course fair play to him. There was no haggling at the TRU closings for the most part from what I saw and heard. Skill had nothing to do with it. Market demographics and luck more so. The cheapest Rapunzel polybags on Bricklink are going for $2.90, average sold price is $7.64. Several sold on eBay for over $10 each. TRU had thousands, and they certainly were not a wholesaler. Nobody has 500 in stock on Bricklink - isn't that where wholesalers go to sell Lego? Is it somebody who regularly sells LEGO, or a "civilian" that just happened to pick them up looking to flip them? If the former, they already understand being a reseller. If the latter, they may be overly optimistic regarding the effort it takes to sell them one by one. Either way, check back with them in 6 months and see if they still have them. If they do, maybe they'll be ready to sell at your price. If not, they probably got a better offer (or offers). The impression I got was it was at last day, so maybe they got it cheaper. 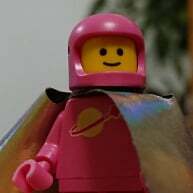 I assumed bricklink was for resellers. Wholeseler use other channels. Civilians rarely buy off wholesalers. Some people on BL have had them in multiple hundreds, and they were sold at under £1.50 in bulk in the past six months. 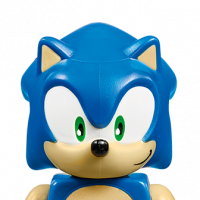 I didn't ask but got the impression that TRU were not taking offers on heavily discounted stock as it was selling OK at the heavy discounts. ^ Just before your immolation in a tragic hoverboard explosion and fire. Maybe that's how I get my superpowers and become Hoverboardman? You already have super powers as Legotraderman. You are the hero we all need but don't deserve! No I just ran out of prequel memes and had to settle for a Batman one. ^ I'll fix that up for you. Are you an angel? I've heard the deep forum dwellers talk about them. They live on the moons of Liego, I think. You are right, that isn't fair. I love Batman. Just not as meme fodder. Unless someone started Animated Series memes. I would get on board with that. Mees-a-propose we give The Batman Animated Series temporary meme chancellor powers. I think that would turn me into the Underminer.